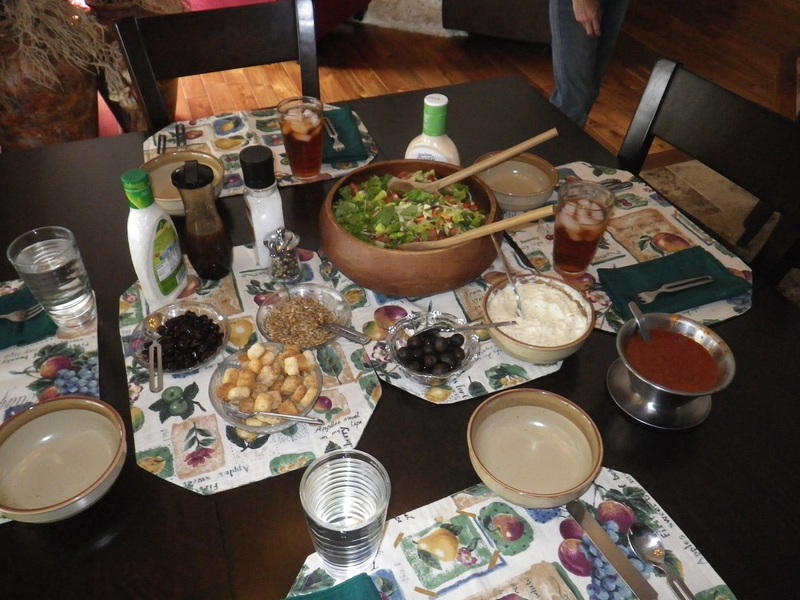 Being invited to a friend’s house for dinner is a double bonus. Not only do you usually get to have some good home cooked food but you get to experience their perspective on food and dining and maybe to learn some new cooking techniques and recipes. Not too long ago we were invited to Abbie and Mariano’s house for dinner. 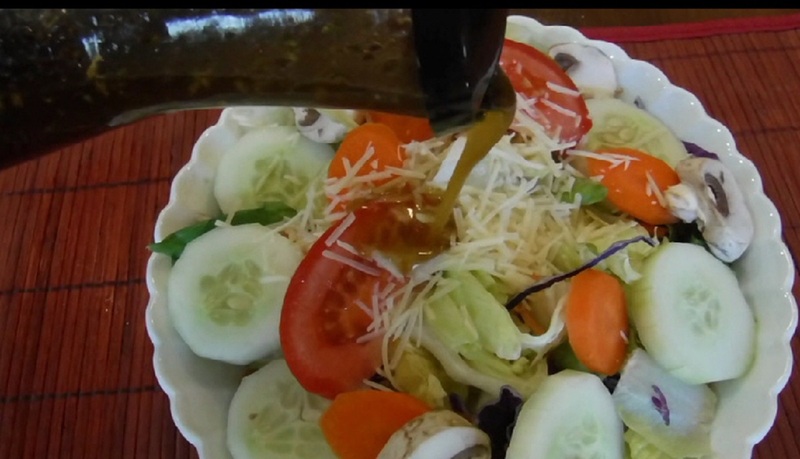 A salad was served with Abbie’s balsamic vinaigrette. It was very good and I asked for her recipe. 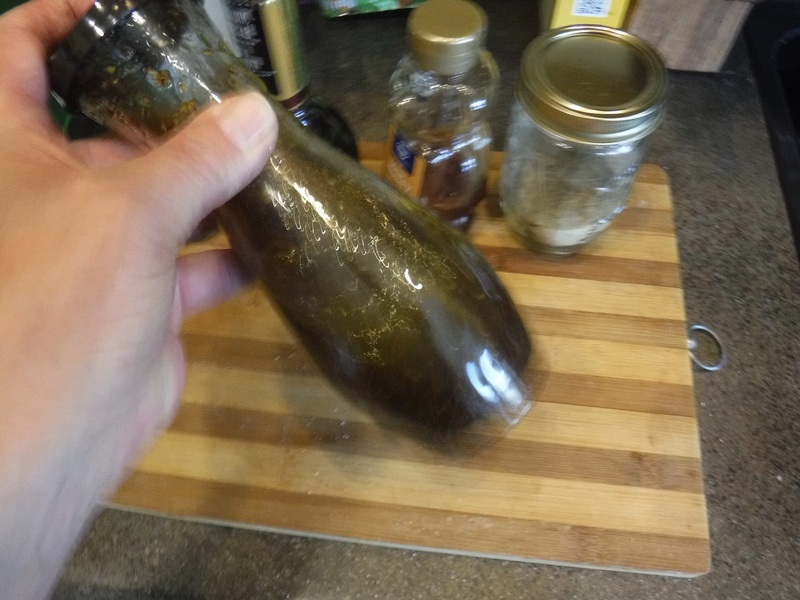 I am just now getting around to preparing the recipe for the cookbook but in the meantime it occurred to me that the old Good Seasons salad dressing cruet would be the perfect shaking and storage container for the dressing. Look as I might I couldn’t find that old triangular green-capped bottle anywhere in the cupboards. There was nothing left to do but go and buy another. That was not easy. The local supermarket doesn’t stock it for the local clientele. I was about ready to buy one online but found one in a super-bargain store first. But I guess in the long run an old mason jar would have worked just as well. 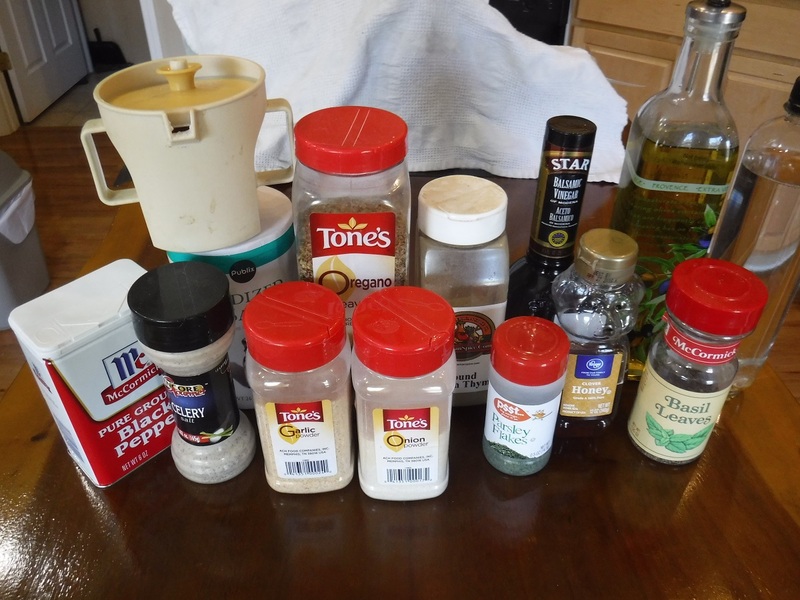 The dry ingredients can be prepared ahead of time. They are shelf stable when kept in a tightly sealed container. 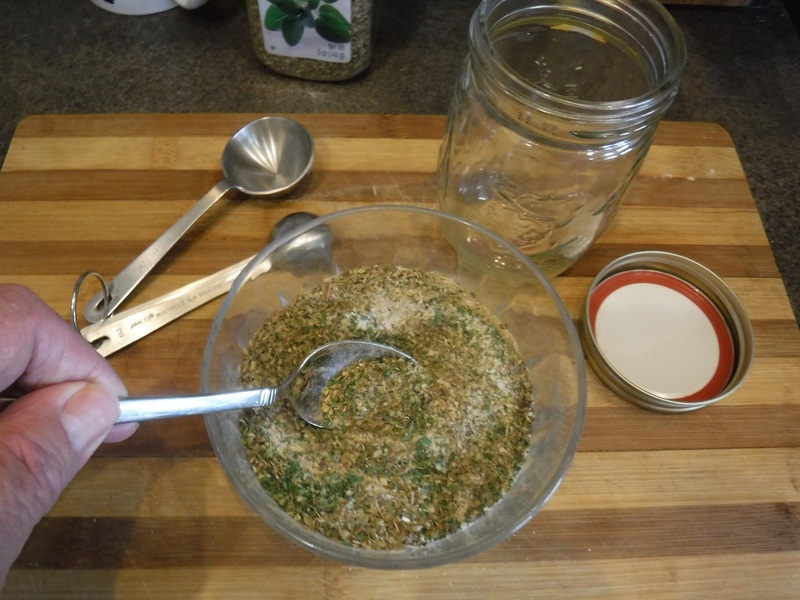 In a small bowl, mix together the garlic salt, onion powder, sugar, oregano, pepper, thyme, basil, parsley, celery salt and regular salt. 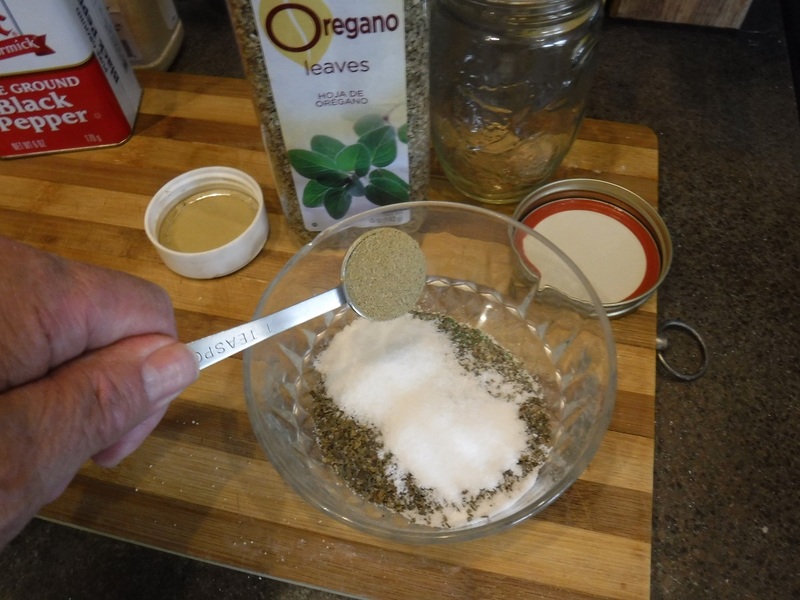 Abbies says, "In a pinch, you can also use Italian Seasoning instead of the basil and oregano. All these measurements are approximate and to my taste. You may have to experiment a bit and tweak it to your personal taste." 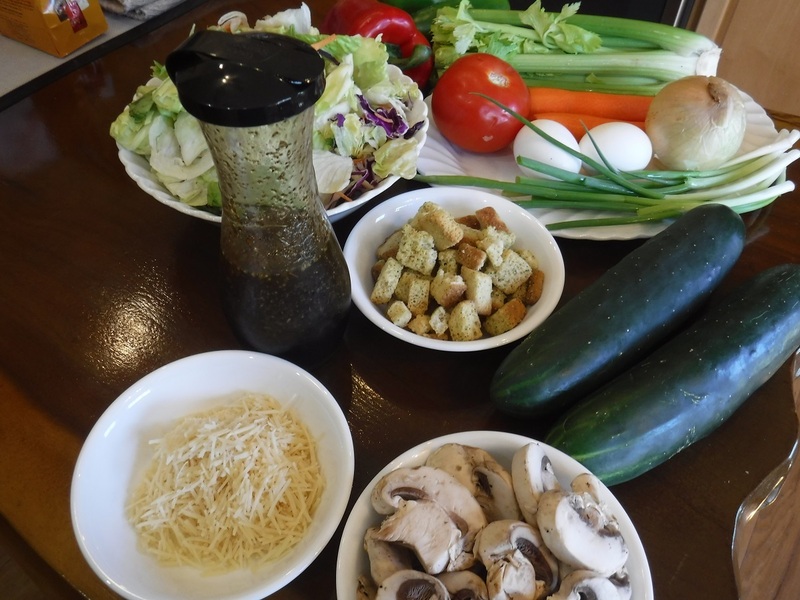 To prepare dressing, , use shaker-carafe or whisk together 1/4 cup balsamic vinegar, 2/3 cup olive oil, 2 tablespoons water, , 1-2 teaspoons of honey and 2 tablespoons of the dry mix. Mix thoroughly. 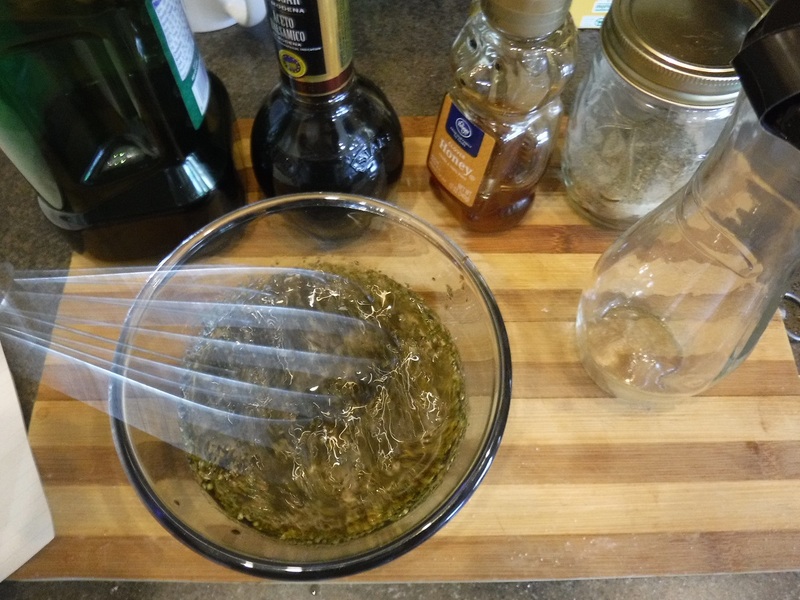 Prepare the dressing at least an hour before serving to allow the flavors to meld and develop. Shake or wisk again just before serving. 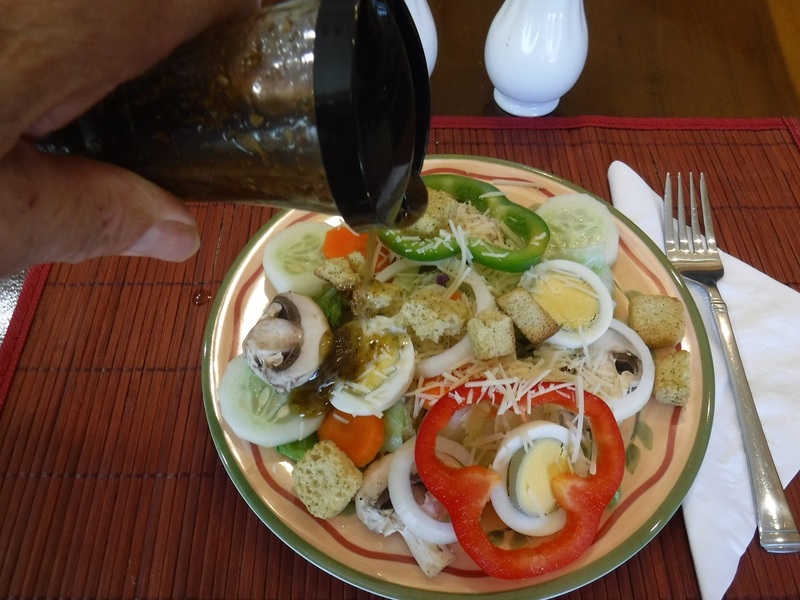 Store any leftover dressing in a closed container in the refrigerator.